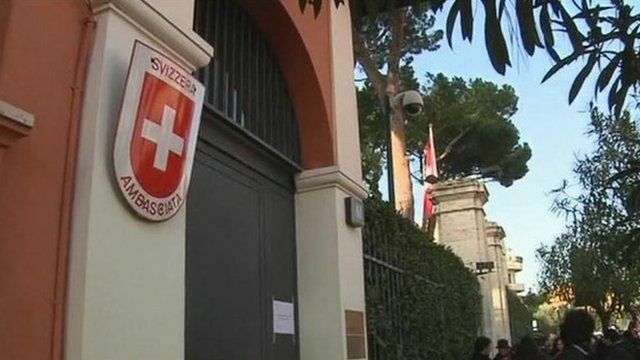 Foreign embassies in Rome are on high alert after parcel bombs exploded at the Swiss and Chilean diplomatic missions. In each of the blasts, the staff member opening the parcel was injured. Police said a note found stuck to the clothing of the man hurt at the Chilean embassy claimed responsibility on behalf of an Italian anarchist group.